The North Central Seattle Kiwanis Club will meet from 6:30 to 8:00pm Thursday, September 20, 2018 at the 125th Street Grill, 12255 Aurora Ave N. The Grill is located at the SW corner of 125th Street and Aurora Ave N. The evening will begin with a meal served by the restaurant. After the meal, James Pabiniak will speak about the work of Hopelink, a non-profit organization working to end poverty in our community through 9 different programs. James manages Hopelink’s food bank program in Shoreline and has also worked in Hopelink’s energy department. There will be an opportunity for you to ask questions about the Hopelink program. 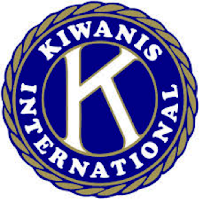 All Kiwanis members and members of the public are invited to attend. We look forward to seeing you at the Kiwanis meeting on September 20.